This module’s case studies provided a variety of insights on how children perceived shapes and especially angles. I never realized how something that I find so simple like an angle could be such a challenge for a child. In previous modules we spoke about how teaching children without definitions is a better method. However, I believe teaching children the definition of an angle will further help their understanding in this case. 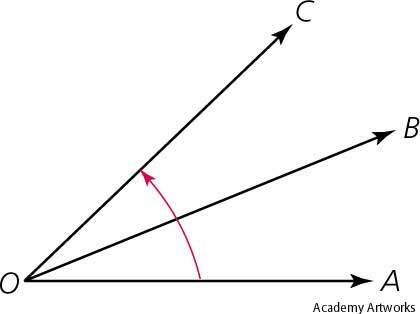 Angle is defined as a figure formed as two lines come together at a common point. This definition gives a clear-cut idea of what an angle should look like. Furthermore, in my classroom I would provide students with ample opportunities to see angles work in real life to stray the misconception of a slanting line or object. ******* Which case study did you find most interesting? How did it help you understand children’s misconceptions? How wedge you teach the angle concept? In the very beginning of this article I was encouraged by the idea of inquiry as a mean for teaching angles. I think that this method would be very appropriate to help children steer away from misconceptions. Children often need to see concepts such as angles work hands on to process their meaning. I also think the idea of folding a circle multiple times to create angles is also a way for students to see angles first hand. The article provided a decreasing angle made from a circle to show students that essentially angles are measured from one line meeting another. Building upon children’s prior thoughts is essential to helping them understand angles. ***** What methods do you see best fit for teaching angles? Posted on April 20, 2015 April 20, 2015 by moore4her	Bookmark the permalink. It was great to see your opinion on the case studies! I found case 13 the most interesting because it went through the thoughts of each student. It was interesting to see what each student thought and knew about angles. Also, I think that it was great that the students had the idea of using a piece of paper and other objects to give examples. Students need to know that angles are every where, not just in geometric shapes. I think that by having students give a definition, it helps us teachers see what level they are on and what needs to be taught or re-taught. When teaching angles, I think that by going over definitions, giving visual examples, and allowing the students to explore the angles gives them the best understanding. If the students learn definitions and see examples of them they will be able to make connections. I remember finding angles frustrating and difficult until my teacher thoroughly explained them. As a teacher, I want to make sure that my students always have a good, correct understanding of the material given to them. Misconceptions can always occur, so I will always assess my students to make sure that they are on the right track. It seems that you will be great at teaching angles and you have a great understanding on how to make sure your students get it! Great job again on your blog!